$7.50 In stock. Order in the next 13 hours, 22 minutes and it will go out today! Get ready to spend the best $7.50 of your life. 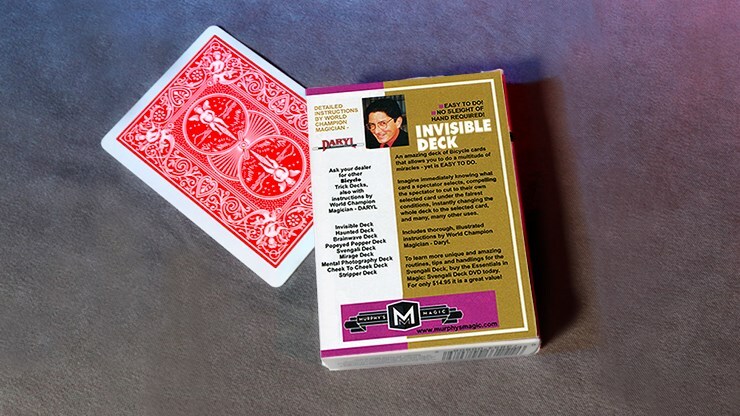 The Invisible Deck features in the repertoire of almost every professional close-up magician I know. 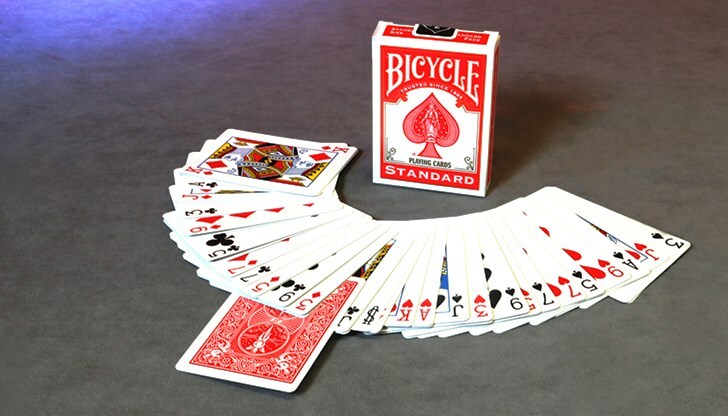 It's a gimmicked deck that allows you to reveal that any named card is the only card face down in the deck. 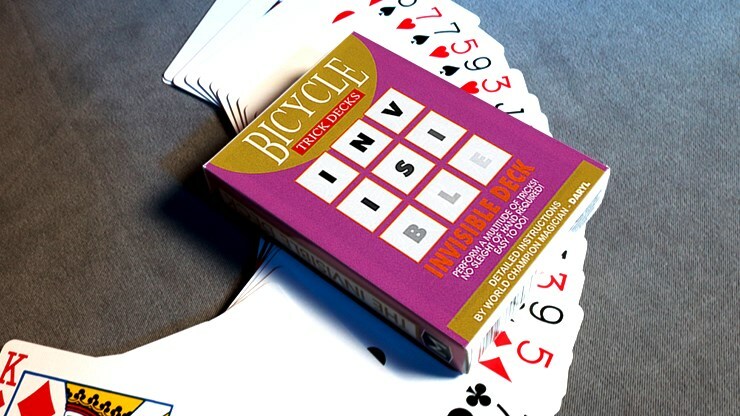 Given that the deck is so easy to use, it allows you to spend all your time on the presentation to really build this trick up into a miracle. The instructions are written by Daryl and are enough to get you started. 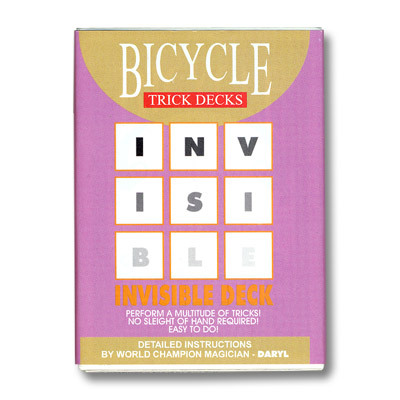 If you want to take it one step further, we recommend Jay Sankey's Invisible DVD.